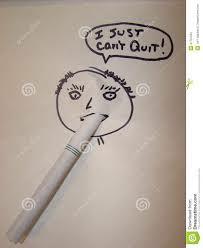 I can’t seem to Quit! Just about everybody that smokes tries to quit smoking at one time or another. They quit for a time and then go back to smoking. Why is this? When you stop smoking cigarettes you leave a gap in the subconscious mind. The mind does not like gaps and will try to fill that gap, usually by getting you to go back to smoking. That’s what the cravings are all about. In most cases people resort to hypnotherapy to stop smoking cigarettes after they have exhausted every other avenue. This is a shame as hypnosis is probably the most successful way to stop smoking. The habit of smoking resides in the subconscious mind and hypnotherapy enables us to change that habit by making suggestions to the subconscious mind. The subconscious mind wants you to be healthy but because smoking is associated with being part of a group and safety it gets tricked into thinking that every cigarette you smoke is associated with survival and safety. With hypnosis we are able to change the habit of smoking for another healthier habit such as breathing fresh air. By replacing one habit with another no gap is left in the subconscious mind. Does hypnosis work for everyone? The answer to that is no. There are two main reasons for this, the person does not really want to quit or the habit of smoking is associated with some past trauma. Sometimes a person comes to quit but deep down does not really want to, they may have been pressured by someone or they think that because their friends have quit they have to. These are typical scenarios where hypnosis will not work. In other cases, the habit of smoking is so deeply ingrained and associated with safety that hypnosis or any other method will not work. Usually past trauma is involved and this needs to be addressed before the person can successfully quit. So when you decide to quit smoking look at hypnosis, it is very successful as it addresses the root causes of smoking rather than the symptoms. Previous	Think it will work!